Tollie Erasmus, an unsavory bank robber on the run, is hung from the neck until dead. Unfortunately, execution was administered without the benefit of South African judge or jury. 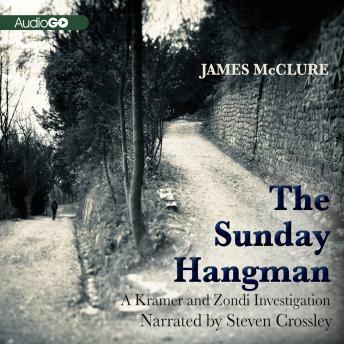 Somewhere there's a killer who knows far too much about the hangman's craft, and Lieutenant Tromp Kramer and his Bantu assistant Mickey Zondi must find him before his trail of death continues.